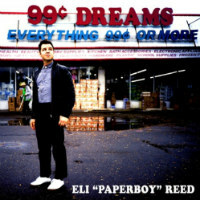 Latter-day soul-man Eli Paperboy Reed returns on 12 April with next LP 99 Cent Dreams, the follow-up to his excellent gospel-tinged fifth studio LP My Way Home album. And, on the evidence of the chanking guitar and piano-drenched first leak off it, Bank Robber, it promises to be every bit as excellent. 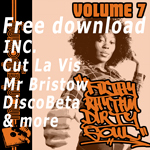 The track draws inspiration from a deep well of mid sixties soul/ rnb influences and if it eschews the gospel this time, it does at least provide a suitable anthem for the 99%. Or maybe it’s just a metaphor for Eli’s way with the ladies’ hearts. Released once again on indy label Yep Roc, it looks like being another one in the eye for Reed’s cack-handed former label Warner.